Forgotten Corner Fintry, Campsies, Scotland. Fintry in the Campsies on the outskirts of Glasgow has a very attractive and traditional looking stone church which often takes my attention. 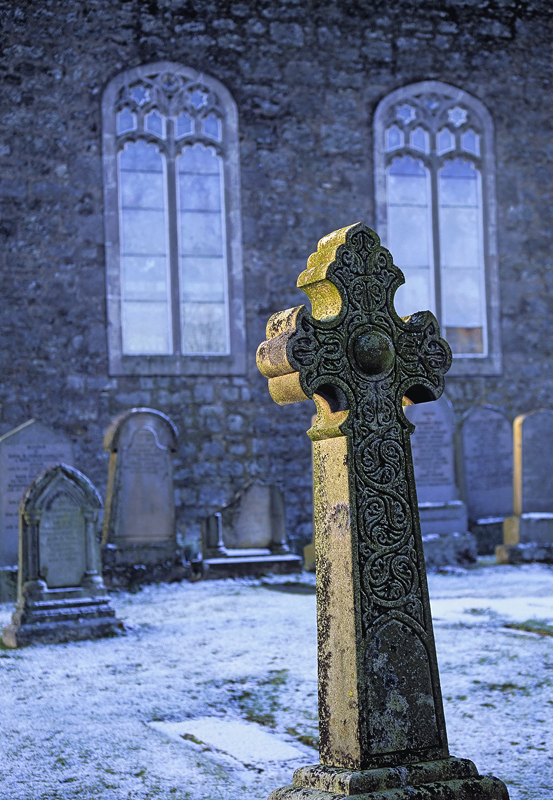 On a winter's morning I stopped off and found the deep blue shadow side of the church yard coated in frost but just a few of the grave stones with morning light spilling across them. I waited for a particularly fine Celtic cross to be similarly illuminated and juxtaposed it against the cool of the shadows. Divine light shone out in a forgotten corner.